Play On: Dallas Cowboys +3. 10* graded play on the Dallas Cowboys as they take on the Philadelphia Eagles in a huge NFC East showdown set to start at 8:30 PM ET, Sunday, December 14. The simulator shows a high probability that Dallas will win this game. With the line at 3 1/2, I like making this a combination wager comprised of an 8* play using the line and a 2* play using the money line. Revenge is certainly a factor for the Dallas team and several individual players too, that want to redeem themselves from the Thanksgiving humiliating defeat to the Eagles. One of those players is Dallas offensive guard Zack Martin, who has had just two games with negative grades this season. One of those was Thanksgiving Day. He has demonstrated all season why eh is one of the top ranked players at his position in the NFL and also the best OL on the Dallas squad. He has yet to give a sack and ranks third-best in the NFL in pass block efficiency. The offensive line has done a great job this year and Jason Whiten has contributed to that end. He is arguably the best blocking TE in run or pass schemes in the NFL. You may see Dallas line him up on the same side of the field as DE Fletcher Cox, who has had a better five week stretch than J.J. Waats. This apparent double team situation though can be a huge short pass opportunity to get the ball to Whiten in space. So, look for him to ‘chip’ block Cox and release to the flat for an easy pass and catch. On the defensive side, look for Orlando Scandrick to have another great game in coverage downs. He has not had a ‘red’ grade in any game this season. It is completely debatable and I understand that, but Dallas ranks best offensive grade in the NFL entering this game. This is in large part because of the dominating running of DeMarco Murray and the strong run blocking of the OL. Dallas ranks best in the NFL in third down conversions (49%). Again, this is because Dallas gets meaningful yards on the early downs and sets up manageable third down conversions. On the flip side, the Eagles offense has the moved the ball well between the 20’s, but ranks 28th in the NFL in red zone scoring this season. Philadelphia is dead last in giveaways and this is an area that greatly concerns me for the Eagles December success. Turnovers play a huge part in any NFL game, but even more so in December when playoff type games become far more common. 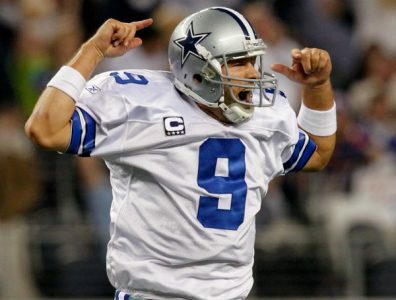 Dallas i 6-0 on the road this season and Romo is a stellar 14-8 ATS as a road underdog over the last three seasons. Further, Dallas is a solid money making 10-2 ATS (+7.8 Units) in road games after allowing 6 or more yards/play in their previous game over the last 3 seasons.